82 entries categorized "Gas Pricing"
We've been getting a lot of questions this summer about fluctuating gas prices - and with the long weekend coming up, we're fielding the usual "Why do gas prices seem to go up right before a long weekend?" questions as well. So we thought we'd take this opportunity to discuss both topics in one post! So what are some of the factors affecting gasoline prices this summer in particular? We got an update from our pricing team to give us some insight into the current state of gas prices. 1. The Canadian dollar. The world crude oil prices are lower recently and people want to know why they're not seeing those savings at the pump. Part of the reason is that our Canadian dollar has dropped significantly. The world crude oil price has also dropped, but it is priced in U.S. dollars - because the Canadian dollar has lost several cents in recent weeks, the corresponding rise in price for us to purchase crude oil cancels out much of the decline in the world crude price. 2. Commodity prices. Gasoline, like sugar and oranges, is a commodity - meaning that the commodity market determines the wholesale price, not your local gas station owner. Commodity prices for gasoline in the U.S. have remained relatively high over the past few weeks because of surging summer demand (miles driven is up sharply in the U.S.) and there have been some refinery issues this summer which have led to a tight supply. 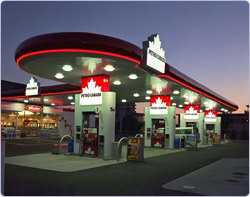 High demand and low supply in the U.S. have a corresponding impact on Canadian prices. 3. Tax increases. 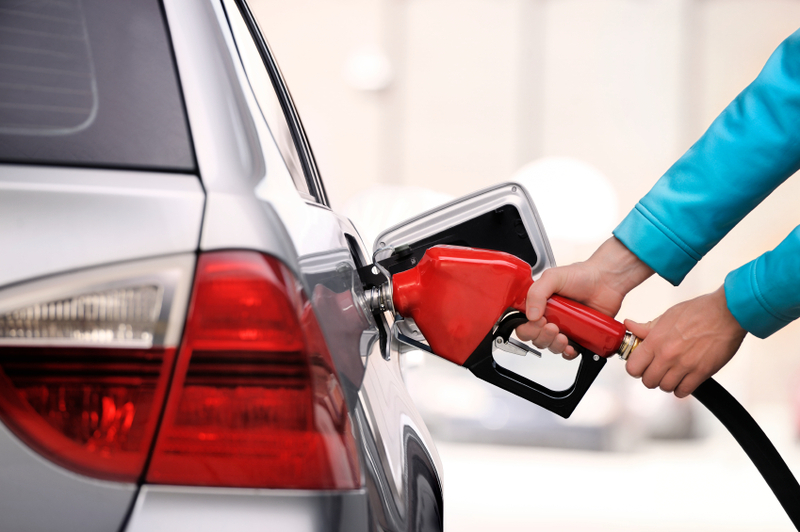 There have been some significant tax increases on gasoline in certain regions this year, for example in Alberta, and because of the Cap and Trade system introduced in Quebec. 4. Regional differences in pricing. Obviously pricing will vary from region to region based on supply, demand, local taxes and local competition between gas stations. Here in Vancouver, for example, gas is usually at least 15¢ more per litre than in my hometown of Edmonton, because provincial fuel taxes are higher and our municipality charges a significant transit tax on gasoline. For more information about how local taxes affect gas prices in your province, check out Petro-Canada's page about gasoline taxes across Canada. 5. Perception. When gas prices fluctuate frequently, it's frustrating but it may not represent a trend towards consistently higher pricing. Based on Kent Marketing's analysis of gas prices a few weeks ago, the average price of gasoline in Canada is still lower this year than last year (see graphic below). For more information about how gas prices work, visit our Gas Pricing archive here on PumpTalk or our FAQs on Gas Prices. And for ways to save on gas and increase your own fuel efficiency, check out the Ways to Save on Fuel infographic. You likely saw the articles on your favourite news sites yesterday, or heard the radio reports on the way to work. The price of crude went up around 3%, largely based on the news of the Iraq insurgency and the potential of oil supplies being disrupted. And when crude goes up, the cost of gasoline at the pump is at risk of rising as well. Given the impending water cooler talk, we thought it may be helpful to provide a little context on a few of those factors. Gasoline and crude oil are commodities - they are bought and sold at prices determined by commodity markets. It's like when we plan a trip to the US: depending on the day, we will pay a different exchange rate for our Canadian dollars; that exchange rate is determined by currency markets. Similarly, on the commodity market, the wholesale price of gasoline changes daily, depending on the market's reaction to the price factors above. Wait, why do we care about wholesale prices for gasoline rather than the retail price? At Suncor, we produce and sell gasoline from our refineries, but we also purchase gasoline on the wholesale market to round out our supply and make sure that all of our stations (and customers!) have the required fuel. The wholesale market's prices are set on a daily basis (you can track the daily wholesale market price on Natural Resources Canada's site). So for all the gasoline that we produce and sell, we follow the accepted daily wholesale price set by the market. You can read more about the relationship between gas prices and commodity prices in a previous PumpTalk post. While I was researching last week's post about the superior fuel economy of manual transmissions, I came across several articles about fuel economy and diesel engines. Formerly much maligned, diesel is making a mainstream comeback here in North America - and it has its benefits. "…takes less refining to create it (versus gasoline), and with the recent moves to ultra low sulphur diesel fuel (what we at Petro-Canada offer), it produces less greenhouse gas. Improvements have been made to vehicle engines for "smarter" consumption, meaning these engines are more efficient and less polluting than before. Diesel fuel has always been an important source for trucking, boats, farming and more, but now the benefits can be enjoyed by consumers, especially as manufacturers increase their options." As the first long weekend of the warm weather days is fast approaching, we thought we would take the time to comment on the regularly occurring question that we receive: “Why do gas prices appear to go up right before a long weekend?”. This question usually comes up before every long weekend we have. We have written several posts about this topic and we wanted to enlighten our readers about it again, as the Victoria Day long weekend is right around the corner. You can read the full report here: Report: Holiday Weekends and Fuel Price Increases: Fact or Myth? The press release can be found here: Holiday Weekends and Fuel Price Increases: Fact or Myth? We hope this helps, and as always, we welcome comments and feedback from our readers. PumpTalk was created to facilitate the discussion, so let’s keep the conversation going! Gas prices are always a common subject for PumpTalk readers, so we decided to provide you with an update on pricing and what elements make up the price you see at the pump. 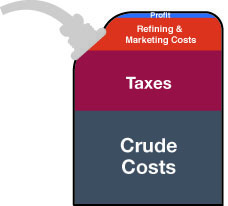 The two largest factors that influence gas prices are crude oil costs and taxes. Following that is the cost of refining and marketing – which is all costs of operations – including the costs of refining and distribution, along with all marketing and operational expenses at the retail level. Other elements to consider are local competition and commodity gasoline prices. We discussed this in more detail in a previous post on gas pricing. Let’s focus on the largest piece of the puzzle – crude oil pricing. 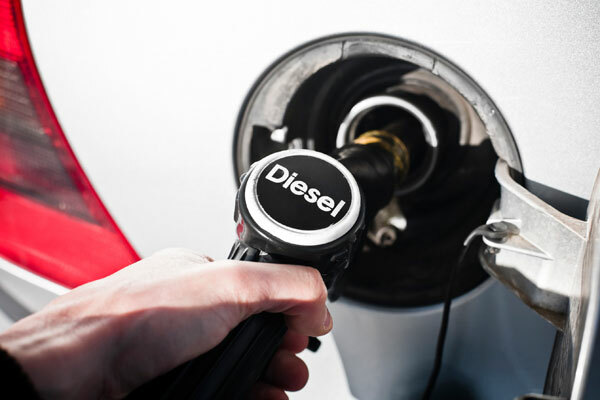 We have had many questions come in to the PumpTalk blog regarding diesel pricing and why they continue to be above gasoline prices. In this week’s post, we’ll help answer these questions. First, I’d like to remind everyone that diesel has more than one use versus its sister, gasoline, whose primary use is transportation. This means that, unlike gasoline, demand for diesel is based on more than vehicle population. 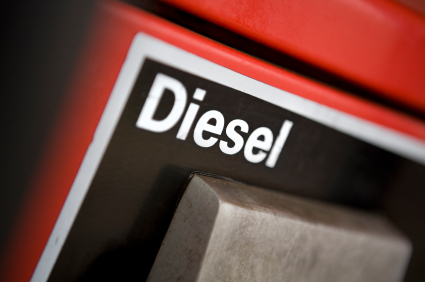 Diesel has many other uses in industries like in freight, construction, agriculture and ports. Now let’s shed some light on pricing. WTI vs Brent Crude - What do they mean? When we're talking about oil prices, we see these two terms in the news a lot: WTI and Brent Crude. What do they mean - and what's the difference between the two? Not all crude oil is created equal - different API gravity (an indication of the ability of the crude to make gasoline) and sulfur content, for example, affect the grade and classification of crude oil. WTI (an acronym for "West Texas Intermediate") and Brent Crude are two different classifications of crude oil. So, you already know that there's variance in gas prices between Canada and the US, even by province and state. Local market conditions like size of market, processing and distribution costs, overall demand and competitive price play a large role. Looking outside of North America is an interesting exercise, and one that works well visually. Here's a cool map that shows gas prices across the world.